My most popular model, the OB gives a good all round option for both melody and backup. The body is big enough to give the instrument a good rich sound yet bright enough for tunes too. It may be strung with unison strings on the bottom two courses or octave strings. 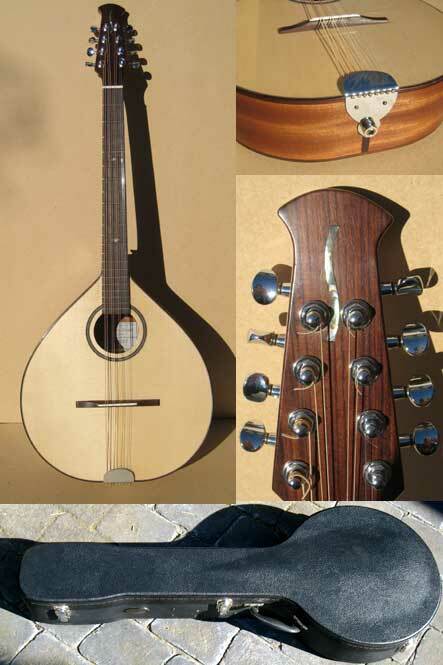 It can be built with 8 strings, the OB8 or with 10 strings, the OB10, in which case it is sometimes called a cittern. Supplied with a fitted hard-shell case.